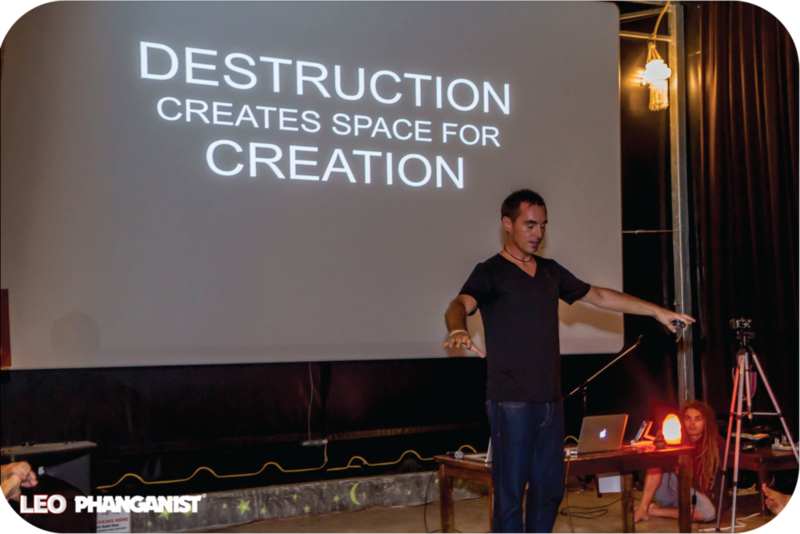 Delivering keynote talk to a room of Digital Nomads- TEDx spinoff Converge Forum 1.0 Koh Phangan, Thailand. My first name is Harry, but go by Ty. I was born and raised in Denver, Colorado, & am a fourth generation state native. I am wildly passionate about the practice and study of Yoga, all things outdoors, & traveling the world. I am an avid, life-long snowboarder, having served as both a sponsored athlete, & a coach for a professional snowboard team. I additionally love the exhilaration of business development, & find great joy in volunteering my time through coaching, mentoring, promoting, & unifying a given community’s entrepreneurs, thought-leaders & start-up ventures. 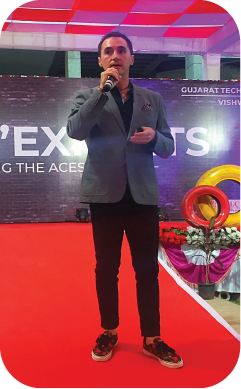 Globally, I have launched multiple businesses, directed numerous projects, and managed Software & IoT product developments, & teams in India, Thailand, Australia, Malaysia, South Korea, Japan, & the USA. Leveraging my deep experience as a Start-Up Evangelist, Product Owner, IT Business Analyst, SDLC Project Director, & Digital Marketer across multiple domains, I currently serve the world with my most robust, & rewarding enterprise venture to date: EYC Labs. My Journey in (very) Brief. I felt I was slowly killing myself. So I did the one thing that made no sense at all… I turned it all in and moved to India. Until 2015, I had largely defined myself by professional accomplishments- starting numerous ventures, opening a few restaurants, and launching a couple tech platforms. Full power. And I consulted many others to realize their business goals. Full power 10x. I was fulfilled in many ways, but my body, mind, and spirit were catching a serious beat down. Knowing that something had to give, I decided to take a risk, step into the complete unknown, and change my life's trajectory. I parked my laptop and bought a one way ticket to the Himalayan mountains of northern India to pursue a quest for personal evolution as a full-time, dedicated student of authentic Indian and Tibetan Hatha & Kundalini Yoga. Read Tyler's interview with Phanganist.com HERE where he breaks down his current journey in detail. And in India, like many before me traveling to the East from the West in search of Meaning, I began unlocking my true, deep-seeded love for life. I spent much time spent going deep, loosing myself, and discovering the magic-potential hidden within my Yoga sadhana. These were proving to be the most transformational and powerful moments of my life. And these moments have since led me on an outward journey to many, many places around the world. I spent two years living in a beautiful Yoga community on the tropical paradise island of Koh Phangan, Thailand. While in the island’s start-up rich environment, I accepted a role as Director for one of the largest Yoga schools on the planet. I co-founded (another) vegan/vegetarian restaurant. I gave many lectures, on a wide range of topics, in a community teeming with tech-savvy digital nomads. I gave the key-note talk at the TEDx spin-off Converge Forum. And I further coached and mentored numerous entrepreneurs, helping them realize their dreams. I spent extensive time in South Korea, Japan, and Malaysia. Each place sharing it’s own hidden magic, and offering me the most precious of life’s gems. And I have now come full circle. Equipped with the profound insight(s) gained through my remarkable travels and once in a lifetime experiences, I am returned to India where I continue my life’s journey. In addition to building a global AgriTech enterprise which is helping to solve real-world problems, I am mentoring within entrepreneur programs at a number of the country's top engineering Universities, lecturing and hosting workshops regularly, and of course, sharing my love of Yoga. I am a Product Owner, IT Business Analyst, SDLC Project Director, & Digital Marketer at my core, with 15+ years of direct-operating & consulting experience in Information Technology, and numerous burgeoning industries. I find joy in applying my unique abilities in identifying emerging-market trends, and shaping emerging markets by developing scaling strategies within various explosive-growth sectors. By means of an agile path of self development, I have demonstrated time and again the ability to build niche & creative products, assemble and manage teams of best-in-class individuals, craft exquisite branding & marketing strategies, develop & grow critical revenue streams, & deploy impactful go-to-market tactics within multiple global markets.